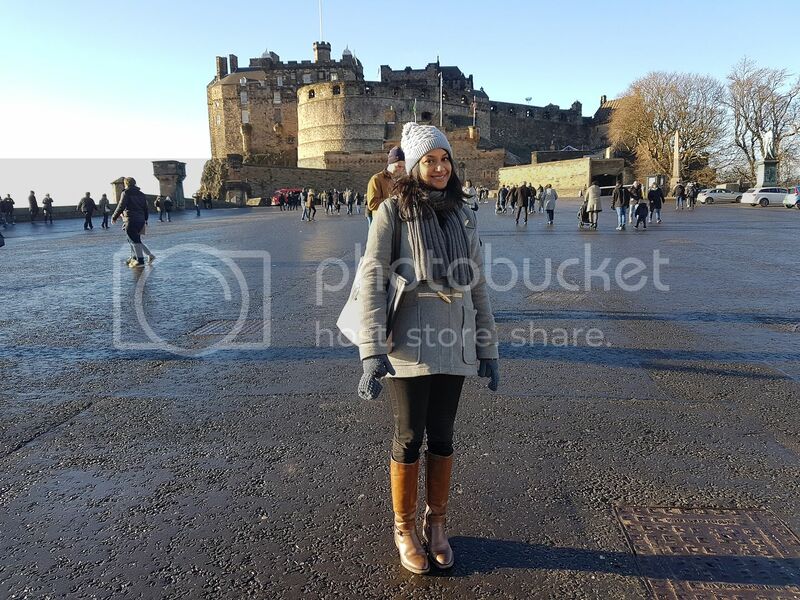 I recently spent a long weekend in Edinburgh and it was beautiful. I'd only ever been to Glasgow for a few hours before, so I was keen to start and get to know Scotland. We went in January, and it was freezing! 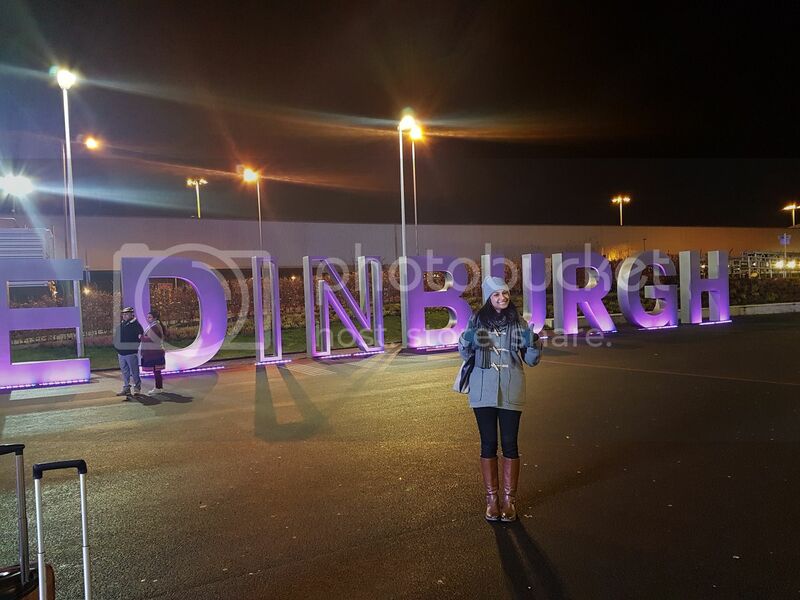 First off, I loved the welcome sign when you land into Edinburgh airport. It's a sight to see. 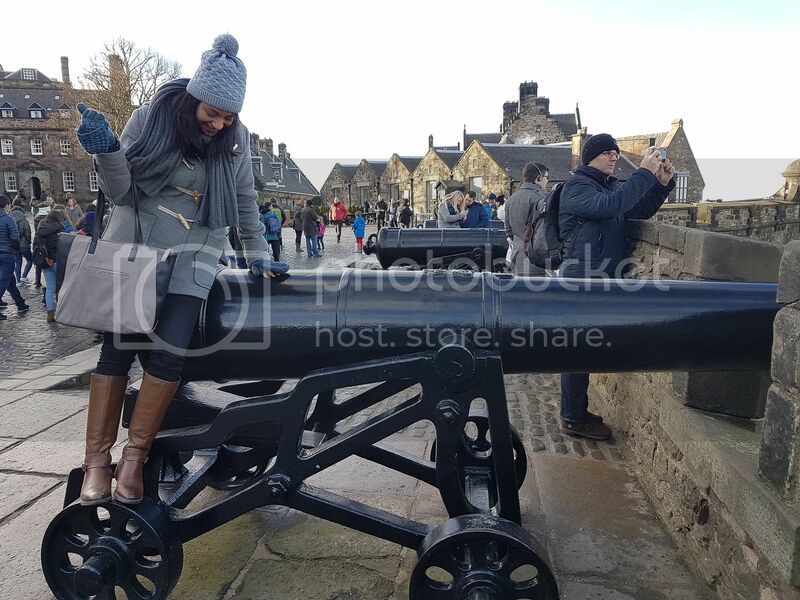 So day one was pretty much spent at Edinburgh Castle. We spent hours and hours walking around it, discovering new nooks and crannies around every corner. They also have live cannon firing shows and we were lucky enough to catch one. 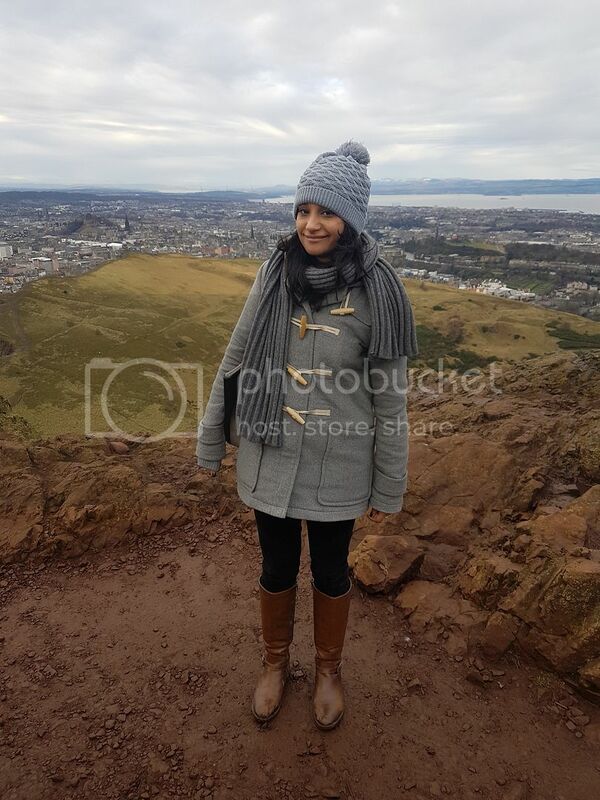 Day two consisted of my fake smile, while we went on a 2 hour + hike at Arthur's Seat. I'm not much of a hiker, and I also wasn't wearing the most appropriate shoes, so I was a tad grumpy. But if you're prepared to do the walk, it is a nice one, with some stunning views at the end. Anywhere else in Scotland I should visit? So fun! Would love to go there! I've never been to Scotland, but I imagine it would be absolutely freezing in January! At least you got to enjoy some lovely sunny weather. Edinburgh looks brilliant - I want to go! Also pertinent: your outfit is adorbs - love those boots!